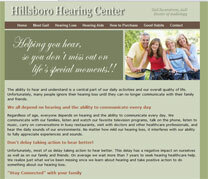 Description: Custom website designed for a Doctor of Audiology. Description: This web site contains a database driven membership list. Members have access to login and edit their own information through custom forms. 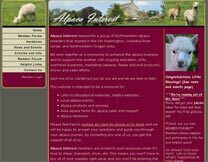 Description: This custom website was designed for an alpaca farm. 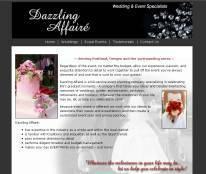 Site utilizes wordpress to allow client to edit their own pages. Description: This custom website was designed to showcase and sell video and photo montages. Description: This website was designed for an event planner. 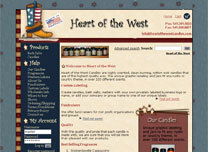 Website: Description:This website was designed with a rustic/Americana theme to sell candles It is a custom design using X-cart shopping cart. Payments are set up through a merchant account and real-time UPS shipping rates are calculated. Description: E-commerce site selling multiple items. Custom designed shop using X-cart shopping cart and PayPal payments. Description: This website was designed for a small business specializing in preemie dolls. Description: This website was designed for the mother-child YWCA camp at Camp Westwind. Description: Database technology used for farm information and animals for sale. 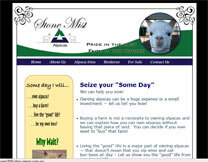 Each farm has their own login and they can edit their farm information as well as animals for sale. 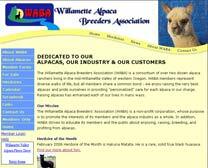 Website: Description: Website where alpaca owners can list their sires available. Site data is stored in a MySQL database and pulled dynamically via PHP. A forum is also available where members can post questions/answers. 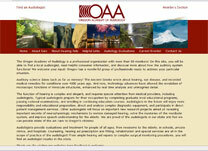 Description: This website was designed for a licensed massage therapist. 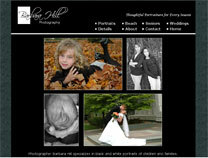 Description: Website was designed for a photographer specializing in black and white portraits. A simple design with limited color was created to showcase the photos in her gallery.